Comprehensive solution for visitors and townsfolk. 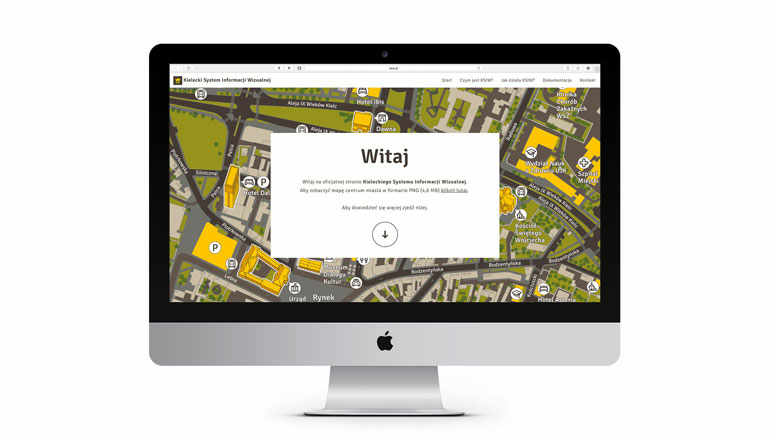 Except the most important objective which is helping in finding the way, project target is to reveal touristic potential of the city and encourage users to see interesting and forgotten places. To understand how does the System work it's recommended to familiarize with its components. 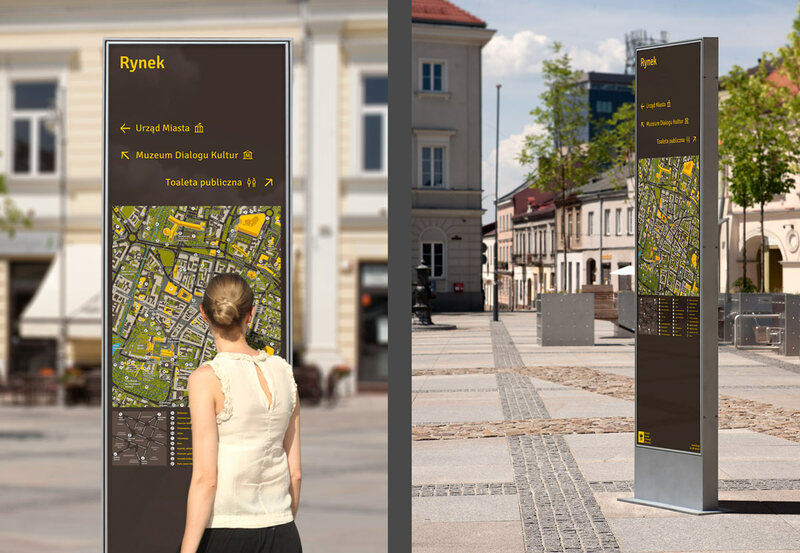 The most important of them are double-sided vertical boards, which are carriers for a variety of wayfinding tips and graphical information. Mentioned information and tips are presented among others in the form of clear maps covering the area closest to the viewer as well as the main city thoroughfares and exit roads. Maps are oriented in such a way as to always indicate the compass direction which the user is facing. 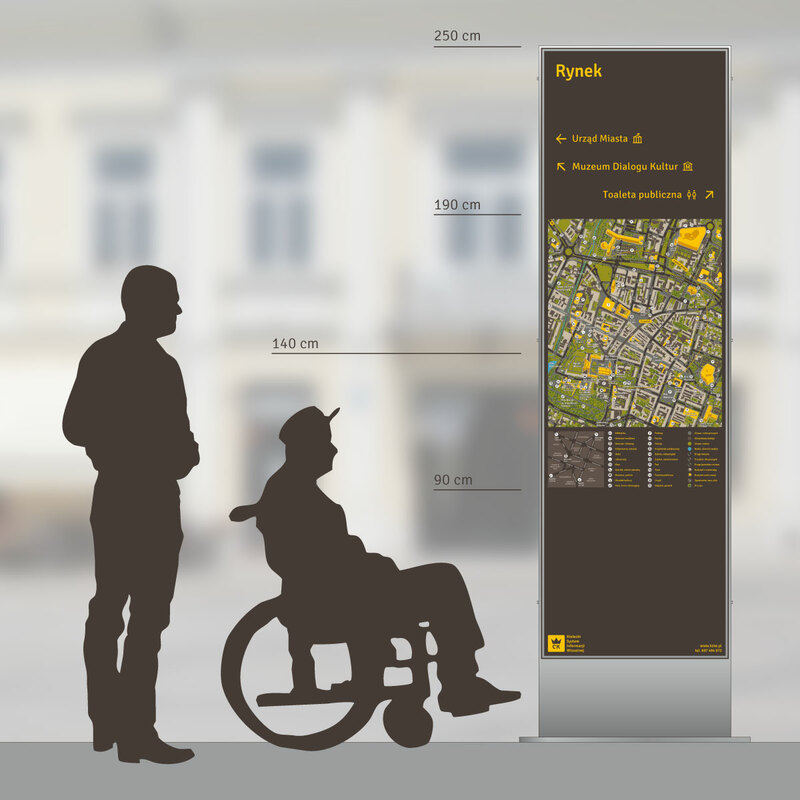 Key elements of graphics systems (maps, along with the legend) are placed at a height that allows adults, children, and persons moving in a wheelchair to easily read their content. 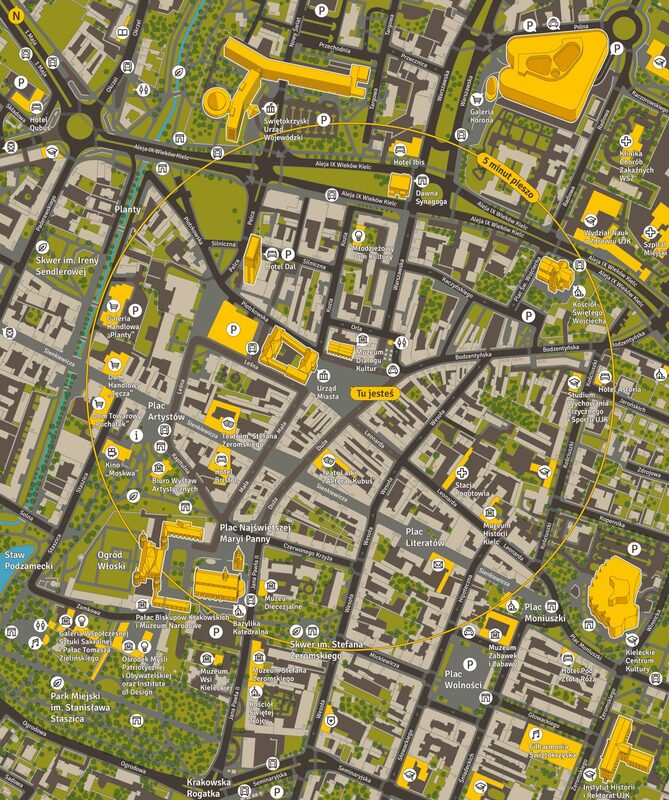 Kielce's important buildings and landmarks are shown on the map in an isometric view. Graphic symbols were designed in such a way as to be consistent with the texts occuring right next to them. 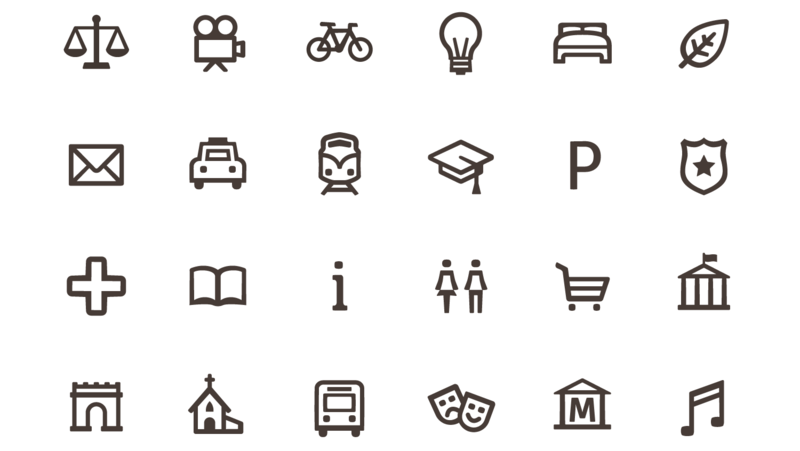 Twenty four pictograms were designed for the System. 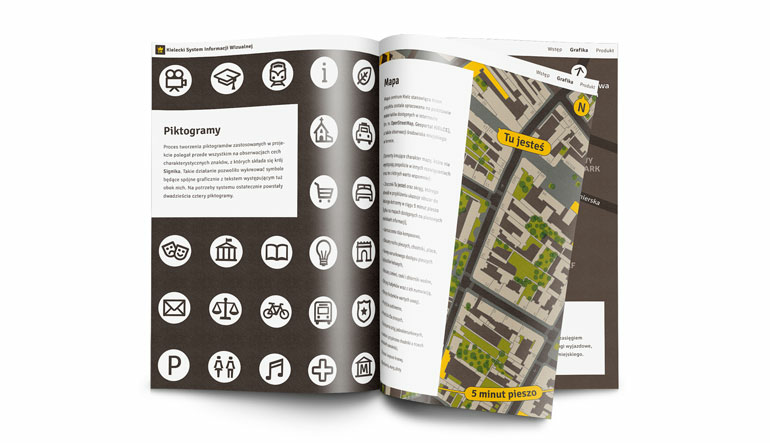 For the successful promotion of the project also an information catalog was created. Click here to see it as PDF (6 MB). The most important information and materials related to the system were placed on a specially prepared website, currently available here (PL).